When it comes to a summer road trip, it’s not just about the destination – it’s how you get there. From the original purple mountain majesties to towering skyscrapers, there are many roads worth traveling. Some of our favorites are listed here. 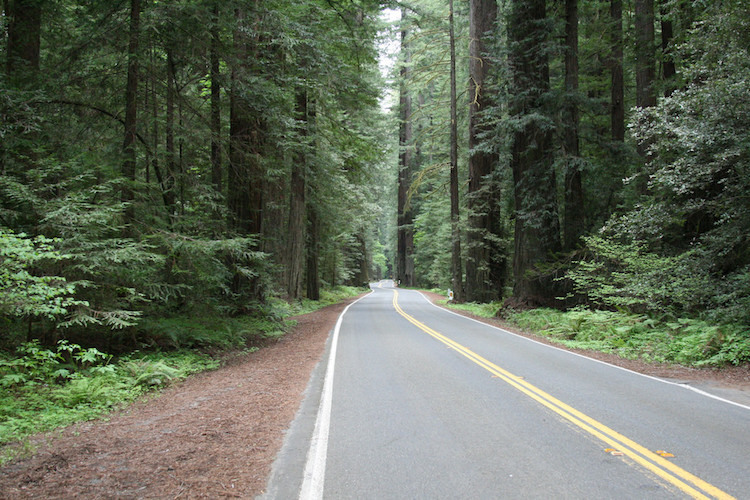 Avenue of the Giants: This 31 mile stretch of California 101 will take you right through the biggest trees in the world: the giant redwoods! Pro tip: Check out Hipcamp for a cool spot to stay overnight in the redwoods. Bluebonnet trail: Nestled between Austin and Houston is the Bluebonnet trail, covered in wildflowers. Pro tip: Visit between March and May, when the bluebonnets are in full bloom. The Road to Hana: The road to Hana is a 52 mile drive on the island of Maui from Kahului to Hana down winding roads and passing roadside fruit stands through tall trees and cliffside views. Pro tip: Once you reach Hana, grab lunch at Bruddah Hut BBQ. You won’t regret it. Lake Shore Drive: With breath-taking views of Lake Michigan and towering skyscrapers, this is a must-drive if you’re taking a trip to Chicago. You’ll drive right past Soldier Field, Navy Pier, Lincoln Park Zoo and more. Pro tip: Stop for a famous Chicago hot dog (all the condiments, please!) or a deep dish pizza at Lou Malnati’s. Blue Ridge Parkway connects Shenandoah National Park and Skyline Drive with the Great Smoky Mountains. With beautiful sunsets and mountain backgrounds, your jaw will hit the floor. Pro tip: Check out the Humpback rocks at the north end of the Blue Ridge Parkway. If you find yourself mostly using your car for weekend trips, you could really benefit from Metromile pay-per-mile insurance. Metromile offers a road trip bonus, so you won’t be charged for any miles you drive above 250/day (150/day in certain states). Get a free quote here. Safe travels!